One of the most intriguing and provocative films of last year got almost no attention at all. It was Robin Swicord’s Wakefield, based on an E.L. Doctorow short story about an angry New York lawyer who ditches his wife, daughters and career in one night and hides out in his garage for months on end. It also happens to have one of the year’s most haunting and effective scores, by composer Aaron Zigman (The Notebook, For Colored Girls). 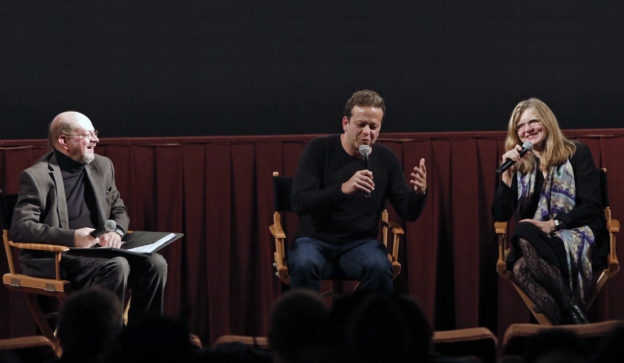 I was privileged to moderate a discussion of the film and its score with writer-director Swicord and composer Zigman after a Society of Composers & Lyricists screening on Monday, Jan. 22. Swicord is one of the best-known writers in Hollywood, having penned Little Women, Memoirs of a Geisha and other scripts and also directed The Jane Austen Book Club (also with Zigman as composer).